Raise a ruckus in Atlanta this March with country music star Darius Rucker, in an exclusive concert just for Ace. The Grammy award-winning music artist will take center stage at our after-hours event for the Ace 2017 Spring Convention & Exhibits. 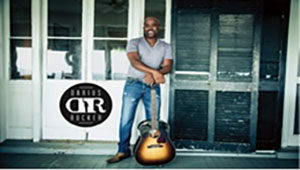 Don’t miss Darius Rucker’s performance Thursday, March 16 at the Thomas B. Murphy Ballroom in Georgia World Congress Center. Tickets for the event are $40 and include general admission, as well as beer, wine and soda. There is a limit of 10 tickets per transaction and they’re selling fast, so get yours today! Doors open at 7:30 p.m. and the concert will go from 8:30-10 p.m.
Register for the convention and purchase your Ace After Hours tickets. The pre-registration deadline to get badges and event tickets in the mail is February 10.